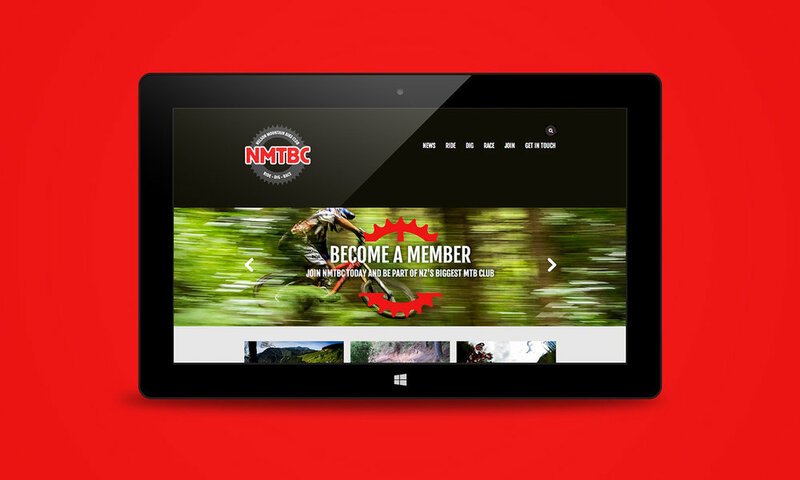 Nelson Mountain Bike Club is New Zealand’s largest mountain bike club with 2000 members. Its brand was outdated, its website was old, cluttered and hard to update and it needed a newsletter to help keep its members informed and engaged. UpShift was employed to rebrand the club, create an entirely new website with integrated membership and event functionality and design and set up an e-newsletter. We have also created sub-brands for its major events, which go from strength to strength. UpShift developed a modern brand that aligns with the club’s vision and aspirations, and an attractive, responsive website that is easy to update and can be used across devices from smartphone to tablet to desktop. A branded Mailchimp newsletter template was created and the club's existing database imported ready for issue #1 to be laid out and distributed. We started by researching the club’s focus, its membership and stakeholders – helping define how to best represent the club’s vision and mission through its brand. A new logo, positioning statement and brand guidelines were created that better represent the club, and the voice its audience associated with it. 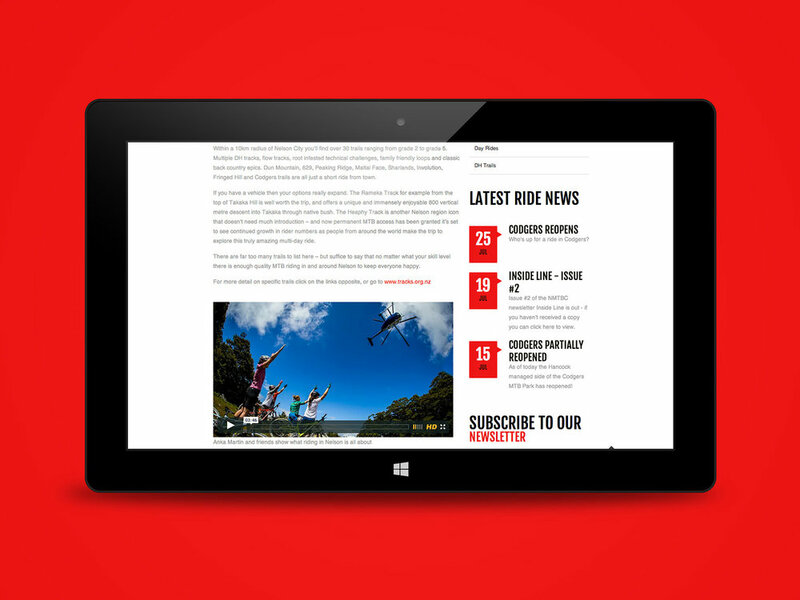 A website was then created with architecture that aligned to the club’s core focuses - Ride, Dig, and Race. 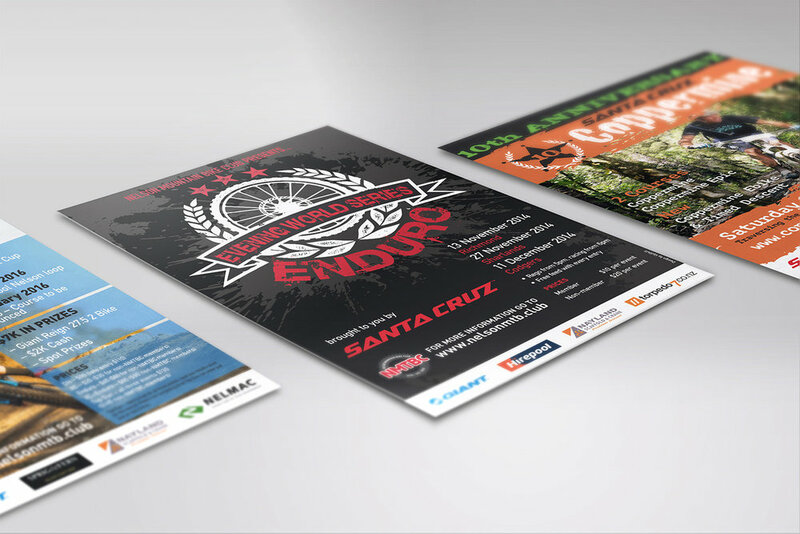 We used the new brand guidelines to design a look and feel that made the most of the club's library of quality mountain bike photography. The website was built using Silverstripe, an open source website content management system born in Wellington and used by governments, businesses and organisations all over the world. Custom functionality was then developed to manage membership registration and events with the future option of online payments.